Scott Oeth is the owner of Bull Moose Patrol, a Registered Maine Guide, a Jack Mountain Bushcraft School alumnus, a featured speaker at Canoecopia and the Outdoor Adventure Expo and a father of 3. Raised in Madison, Wisconsin and active in scouts, Scott lives with his family in the twin cities of Minnesota. In episode 58 Scott and I talk about balancing an outdoor business with a full time job, decision making in outdoor leadership, and the regional differences between Maine and Minnesota with regard to geography and outdoor skills. 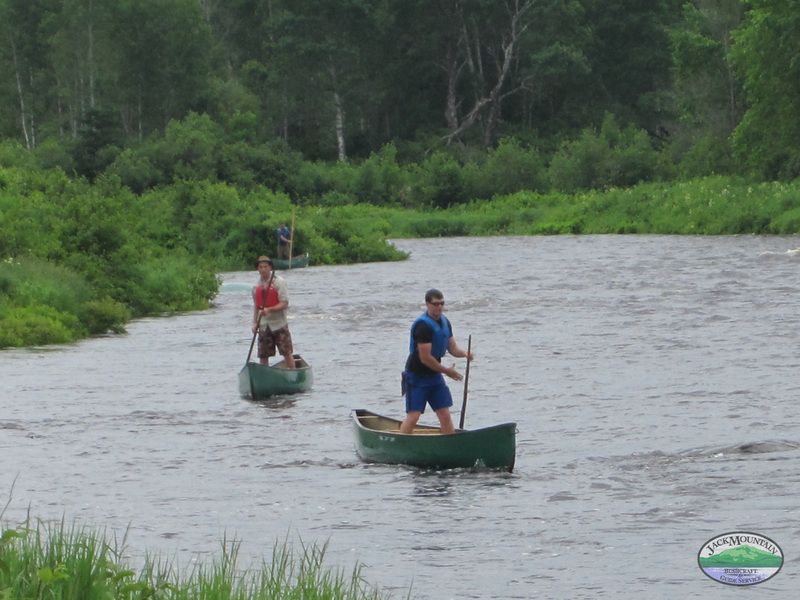 PHOTO: Scott (in back) and Sam Larson (in front) poling canoes in the Aroostook River during the 2012 Riverman course. An hour later it started raining and the water level rose several feet overnight. Bull Moose Patrol, Scott’s website. Canoecopia, paddlesports show in Madison, Wisconsin. Outdoor Adventure Expo, outdoor show in Minneapolis, Minnesota.